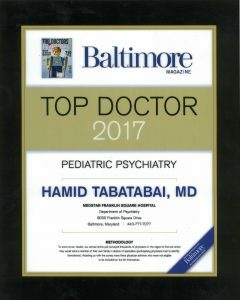 Contact Us – Hamid Tabatabai, M.D. Call or message us to set up an appointment. Remember to always avoid sending confidential information electronically. When traveling to our location be aware that your GPS may not take you to the correct building. We are located in the back building of the shopping center located across from the Macy's in Towson Town Center.